9 techniques to improve your RFP preparation and RFP execution processes. As we enter a new year and companies look for ways to improve their processes, there is no better time to review your templates and approaches to your vendor selection and RFP processes. Below are nine techniques to improve your RFP preparation and RFP execution processes. If you’re a large, global and/or decentralized organization today, you run the risk of too many “cooks in the kitchen” when it comes to those that participate in your RFP process and at what extents. Setting clear roles and responsibilities up front for who provides input to your RFP and feedback on responses, who scores proposal responses pre- and post-orals, and who will make the final decision in the vendor selection, will help set expectations as you begin to execute your RFP process. Know your history in advance, especially when it comes to application management support (AMS) and infrastructure support RFPs. Gather as much data as you can (ideally 12 months+) on ticket counts, service level metrics, and SLA performance. Understanding current scope and current performance levels will help to solidify requirements, set expectations for the level of support you need and prevent your providers from re-baselining performance if it’s already established. When going to market to select a technology, do as much research as you can. Learn what features and functions are generally available and what the product roadmap looks like for the technologies you’re most interested in. Look to map your business requirements first to those products that provide the most out-of-the-box functionality and that have strong roadmaps to add more features that align with your long-term business objectives. Selecting the providers with the best out-of-the-box fit is a great first step to minimize the risk of investment and cost of implementation. Gather as much detail as possible on the vendors you intend to invite to your RFP to understand the scope of their existing footprint for your organization, your current demand for products and services in other areas of your business, as well as any forecasted demand over the next 3-5 years. Assessing the value of this opportunity and the impact it can have on current commitments (renewals) and other demand will inform your positions in response to key terms and commercial expectations. Whether obtained internally or through engagement of a third-party, secure the talent and commitment of resources to support the facilitation and execution of your RFP process. Ensure you have access to the proper level of market intelligence to vet and validate your commercial terms, service levels, rates, and contract terms within your industry, against your chosen vendor’s prior deals within similar spend ranges. Allow at least 12 weeks from issuance to complete your selection, negotiation, and contracting process. Too often the timeline is either not fully communicated or proper expectations are not set with all stakeholders. Afford yourself the time to do a proper evaluation, communicate progress, gain consensus, negotiate the commercial and contractual terms, and get your deal fully executed. Don’t let vendors control the message -- have them follow your script. There is a time to let vendors control the message and share their differentiation in the market. Provide that opportunity to your vendors prior to selecting those you choose to vet in your RFP process. Once in the RFP process and at the time you are ready to bring your subset of vendors in for oral presentations of their proposals, control the message. Leverage the investment you and your organization devote to orals to seek the clarifications you need to make your decisions. Build an agenda focused on use cases of how each vendor’s technology will be used in your environment. Dive deep into their estimates of cost and how they propose to implement and challenge them to show you how they will mitigate risk, deliver on-time and with quality. Bottom line -- script your oral presentations and control the dialog so you are sure you get what you need to make an informed decision. Allow 15 minutes at the end for your vendors to explain their differentiators, but only after you get what you need. Too often I’ve seen the first (and sometimes second) down selection of vendors made on price alone BEFORE the merits of the vendor’s solution or services are fully evaluated for fit. In one particular instance, the first vendor that was thrown out solely based on being the highest priced was later brought back, as no other vendors had a solution that met the needs of the company. The deal that was ultimately negotiated was equal to the lowest initial competing bid, but the process took 2 months longer as a result. At the end of the day, all vendors are aware of the market price for their products and services, but their negotiation tactics differ widely and responding to your RFP doesn’t preclude them from taking a direct or indirect path to get there. My favorite analogy (though I have many) is the CarMax vs. Ford Motor Company view of product pricing. On the one hand, CarMax will give you the bottom dollar price out of the gate and won’t budge. They lead with “best and final” pricing. On the other side of the spectrum, you have the typical American car company (I like to use Ford). A Ford used-car salesman will show you the price, then ask what you think the car is worth. You’ll counter. They’ll say they can’t go that low and they must ask their manager. That’s how the dance begins. In the technology world, you have more vendors that take the Ford approach to pricing than that used by CarMax. Before you even get to pricing and the dance that will ensue, vet the features, capabilities, and ability to deliver first. Once you’re satisfied and you have 2-3 solid vendors that can meet your needs, then get out on the dance floor. The single biggest lever you have in any negotiation is uncertainty. So long as the vendors believe the decision has not yet been made, you maintain your leverage. Commit to preserving that leverage beyond the response to the RFP and beyond the negotiation through proposal revisions. Maintain your leverage until you secure all material positions agreed to in contract form. 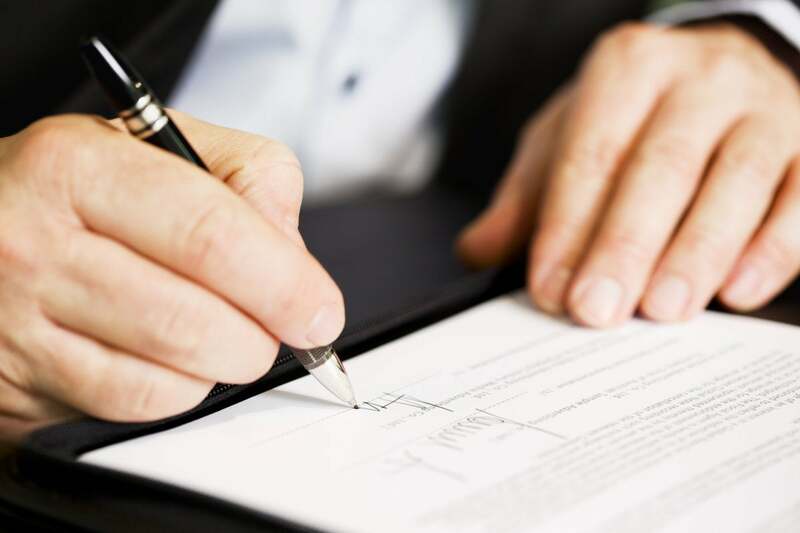 For most, that means a mature Master Agreement, a final acceptable rate card and/or discounted software price sheet, a mature and executable quote with correct quantities, pricing and terms and a mature statement of work (where applicable) for services. Securing the proposal commitments in contract form before making your decision protects companies in two ways. First, it keeps all selection options in play ensuring you maintain your leverage up to the point of agreement to all major contract terms. Second, it exposes and allows you to address and avoid the gaps or disconnects that may still be present in the understanding of the proposal commitments and the terms and conditions under which contract commitments are made.